HRH, the Prince of Wales, who has co-written the forthcoming Ladybird Expert Series Climate Change book – wrote a guest editorial in the Mail on Sunday in which he suggested a ‘focus on looking hard at the accumulated evidence’ of climate change. The natural variability of weather means that extreme weather events have always occured. The challenge for climate scientists is to be able to attribute extreme weather events to a changing climate. Climate scientists around the world, including colleagues at the Met Office are thus striving to understand the links between the natural variability of extreme weather events and climate change. This is a developing science and increasing understanding will be vital to decision makers when planning policies to avert the worst effects. As temperatures rise the frequency of hotter temperatures increases and with more moisture in the air there is a greater chance of very intense rainfall. “A wealth of evidence has now shown that increasing greenhouse gases from human emissions have caused the planet to warm. Global temperatures for 2015 and 2016 were over 1 degree Celsius warmer than late 19th century temperatures. The dominant contributor to the warming seen over the past century is from human activity through burning of fossil fuels.” But does that mean we can link recent extreme weather events – like Storm Desmond that brought flooding to Cumbria in December 2015 or like the heatwave over large parts of England in September 2016 – to human-induced climate change? It can be all too easy to put the entire blame of weather-related disasters on anthropogenic climate change. Floods, droughts and heatwaves have happened many times in the past in our variable climate, but given that natural climate variability can also lead to extremes in our weather, misattribution can easily lead to bad policymaking about how to adapt to climate change. Such studies have shown that many heat-related events observed in recent years have been made much more likely by climate change. The chances of the record annual mean UK temperatures seen in 2014 have become about 10 ten mores likely as a result of climate change. More research needs to be done before such attribution analyses become as routine as our familiar weather forecasts. 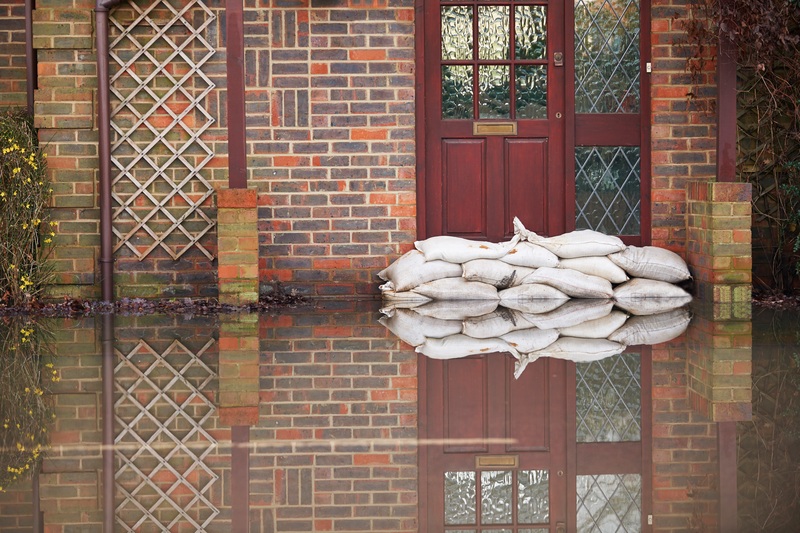 But researchers at the Met Office are collaborating with international partners to develop an operational attribution system for extreme weather and climate events. Such a system would deliver regular updates putting recent extreme events into the context of climate variability and change. This would enable people to better understand how climate change has affected them and help them prepare better for the future. This entry was posted in Met Office News and tagged climate change, flooding, HRH The Prince of Wales, Met Office Hadley Centre, prince charles. Bookmark the permalink. Quite simply the evidence from the only reliable and credible temperature measurement shows nearly 19 years without significant warming. This is in sharp contradiction to the forecasts and clearly and unequivocally shows that even it there is man-made warming, that natural variation is more than enough to stop it in its tracks. Which in turn means natural variation is more than enough to explain all the temperature change we saw in the 20th century. 1. The models predicting warming (and without natural variation) were clearly wrong. 2. All the warming can be explained by natural variation, so there is no reason whatsoever to ascribe it to human causation. 3. And even if it were all human (which it is not), severe weather has not increased, globally floods have not increased (except in countries where stupid environmental agencies have initiated a policy of not dredging). Drought, snow, etc, have not changed. The only credible changes (and not highest scale of rainfall in intense showers as this is obviously due to changes in instrumentation) … are decreased hurricanes, increase Antarctic and Greenland ice and decreased Arctic sea ice and some glaciers. And we know that sea ice has been at low levels before. 4. The worst anyone can possibly say is that scientifically we expect some warming – but as we also expect natural variation of a similar or greater scale, there’s no way anyone who knows what they are talking about and any integrity can say what change we saw was “caused by humans”. … however even if we assume all of it were human … we’ve hardly seen anything justifying concern. 5. But the best we can say is that with around 1million winter deaths since Hanson started the scam, and with rising CO2 leading to a greening of the earth and rising food output … the future looks really rosy with rising CO2 — indeed, it can be argued that we saved the world from going further into the “CO2 desert” conditions that nearly wipes out life on earth each glacial period. Scottish sceptic, well put sir. You have dills at the top of the societal tree. Pity you. There is enough evidence from the natural world for all of us to take note of, I would say. My own observations bear plenty of resemblance to what is written in much of the scientific evidence. Of note, I would especially like to bring people’s attention to the datasets post for one. With slightly higher temperatures, one would expect slightly warmer summers. You would also expect slightly less cold winters. None of this means that “extreme weather” is increasing. Such an amount would be barely noticeable, and given the massive advances in flood defence technology over the years, should not be an issue. And as we all know, there have been many, many other extreme rainfall events and floods in our history. When considering floods and storms, it is also worth reminding ourselves what HH Lamb had to say. He was quite clear that they became much worse in the 13th to 16thC, as the MWP transitioned into the LIA. And the reason is very clear – as the Arctic cools, the thermal gradient with lower latitudes increases.